Photography is a passion and profession for many. Maybe you are one of them. You can be a beginner, mid-level user, or even an experienced one. In any case, a DSLR camera is definitely your best friend. But how to buy the ideal one for you is a dilemma, right? That is why I have put together today’s article. 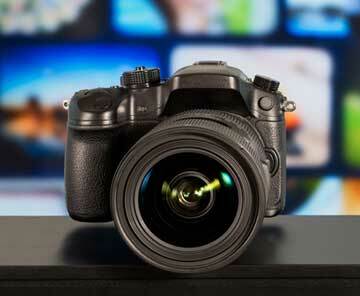 In it, I will give you a complete buyer’s guide on DSLR camera. After going through it, you will know everything required to make a right decision on which camera to buy. So, let us delve deeper. Before you buy a DSLR camera, you need to consider quite a few factors ranging from your need, budget, and so on. First of all, consider the usage of the camera. What kind of a user are you? Are you just starting, in the game for a while, or are you a professional? These are most important to figure out. You are a beginner if you an amateur who is more conscious about the budget than the benefits you are getting. You can also be considered a beginner if you are enthusiastic about photography, but don’t really know the science and technique behind it. You are at a stage where you want to upgrade to an advanced camera from the point-and-shoot ones. Mid level users are those who want to learn the advanced methods of photography and want a camera better than the entry-level DSLR. They want to capture good quality pictures but within an affordable budget. Better speed and quality with more controls are expected. You can be called a professional if you have a high level of skills and you want an advanced DSLR. You want a camera compatible with a wide range of lenses. You want the camera performance to be outstanding, fast, and sharp. Depending on these, there is a DSLR out there for you. Go for the entry-level ones when you are a beginner and buy higher-end ones as you up your game. Another thing to give a good amount of thought is the type of the sensor. A sensor is a part of the DSLR that converts light into electric signals. This, in turn, gives birth to an image. The bigger the sensor the better the picture quality. Three types of sensors are ruling the market. These are CCD, CMOS, and BSI CMOS. These are the best type of sensors out in the market. They generate images that are exceptional picture quality along with enhanced range and better noise control. However, there is also a downside. To provide this performance, they consume quite a lot of power. A very small of number of DSLRs offer this sensor. The CMOS sensors are the most dominated ones in the market. These sensors are less expensive than the CCD sensors. Consuming less power also adds to their benefits. As a result, they give more battery life. They can achieve CCD-like images, saving power all the while. However, their range is comparatively smaller. These are the more advanced version of the CMOS sensors. The BSI CMOS sensors use a different layout. They generate images that have enhanced color reproduction and lesser noises when compared to CMOS sensors. They are best suited for low light conditions. Think about what kind of sensor you want and buy the one fitting your needs. Sensors in the DSLR camera usually come in two different sizes. They are Full Frame sensor and Cropped sensor. There are benefits to use each of them. They offer more dynamic range. The pictures produced are sharper. They also generate better low light performance, also called a high ISO performance. This is explained later in the article. Full Frame sensors are able to capture a broader angle with the help of tilt shift lenses. For this reason, they are ideal for architectural photography. These sensors are relatively cheaper and lightweight than the full frame ones. They have extra reach than other sensors. As a result, they can capture far away objects much better. The sensors are best suited for sports photography and wildlife photography. Look for what you need and make your buying decision. The shutter speed is responsible for the duration of the shutter staying open and exposing the image sensor to light. A high shutter speed enables you to capture the exact moment you want to capture without delays. With higher shutter speeds, the price of the camera will be higher as well. DSLRs with high shutter speed usually have the speed of 1/2000 seconds. This freezes the movement of the object. As a result, the blurring of the image is lesser and you get to capture the exact moment. This is perfect for sports and wildlife photography. Low shutter speed usually has a speed of 1/4 seconds. This will help you capture the movement of the object. Also, there is more blurring. These are best suited for capturing images of waterfalls and streams. If you are a beginner, you can make do with a lower shutter speed. When you are a professional, it is advised to go with the higher shutter speed. ISO sensitivity is the mark of the camera’s sensitivity to incoming light. DSLR cameras out in the market generally as an ISO range of 100 to 51200. Although some of the mid level and professional level DSLRs have an expandable ISO rating. The higher the ISO rating, the better the low light performance of the DSLR. When you are shooting indoors say at a restaurant or at a birthday party, you will need a high ISO setting. On the other hand, when shooting outdoors with the sun, a low ISO setting is your friend. With the higher ISO rating, the camera will get more expensive. So think about where you will be using your camera and buy one with the perfect ISO sensitivity. The resolution is generally the size of a picture. It is measured by the number of pixels a picture is a consist of. The picture quality gets better with higher resolution. As always, the price of the camera also increases with it. Higher resolution DSLRs have some distinct advantages. Higher resolution DSLRs have some distinct advantages. They produce images with better detail. Higher resolution reduces the amount of noise and blur in the final image. You also get better print quality even when you are creating larger prints of the image. If you are a beginner, it is acceptable to get a lower resolution. If you are at mid level or professional level, it is advisable to get DSLRs with higher resolution. Nowadays most DSLRs come with either HD or Full HD video recording capabilities. Full HD videos are better in sharpness and clarity than the HD ones. Some new models of DSLR also offer video recording in 4K, which is also called UHD (Ultra High Definition). UHD videos are far more superior in quality than the others. Burst mode if the ability of the camera to take a string of continuous pictures by pressing and holding the shutter button down. This is measured in frames per second. DSLRs have burst mode starting from 3 fps up to more than 10 fps. This feature is extremely helpful in sports and wildlife photography. Think about what you need and proceed with the buying process. DSLRs these days offer some extra features as well. Take a look and consider if you would like them to have or you are good without them. A built-in Wi-Fi lets you upload and share your pictures with a smartphone or tablet. You can share your pictures on social media instantly, right from your camera. The GPS feature enables you to create a visual map by tracking the exact location where each and every image in your DSLR is taken. NFC or Near Fold Communication gives you an one touch wireless connectivity with compatible smartphones, tablets or any other devices. You can then share them or upload them anywhere you wish from the device. The built-in HDR feature takes a varying number of pictures of any scene you select, each one at a different exposure than the other. Afterward, the camera combines the best parts of each image to deliver an amazing final product. Autofocus points are the dots or little empty squares you can see when you look through the viewfinder. They vary from camera to camera. An entry-level DSLR can have 7, whereas an advanced one can have 6 AF points. They are of two types, cross-type AF points, and vertical AF points. Cross-type AF points are ideal for sports and wildlife photography, whereas vertical ones are best suited for other kinds.